Entries to the Asylum: Tuesday 22nd - Friday 25th February 2016. - Far Cry Primal Collector's Edition [Xbox One]. - Life is Strange Limited Edition [Xbox One]. - Don't Die Mr. Robot [PS Vita] [Digital]. Lots of reviews to come shortly, first being Volume, which I will get posted tomorrow afternoon, followed by PewDiePie: Legend of the Brofist tomorrow night! Also coming soon, and I apologise for the backlog, are Keep Talking and Nobody Explodes!, Rise of the Tomb Raider (PC comparison review) and Rocket League (PS4 vs Xbox One). Many more to come after that so make sure to keep an eye out! Our review backlog is shameful. Some ready to be typed up, and/or just polished up, but as previously mentioned, I am doing a temp work placement at the moment which is distracting me! What have you guys received/played recently? Sorry I've been severely lacking in updates over the past week or two. Recently just started doing a temp. work placement so unfortunately that has been taking up a fair bit of my time. And also, we haven't really received anything lately so nothing new to post on that front. Oh, and have you seen Deadpool yet? I mean it. Ryan Reynolds was fantastic as Deadpool, and it was great to see him actually do the role justice, after the shameful destruction of the character that Fox had him do last time in X-Men Origins: Wolverine. All the way through the movie I sat with the weirdest goofy grin, as it was just so hilarious, and action packed, with just the right amount of back-story thrown in. So what are you waiting for? GO SEE IT. If you've already seen it, what did you think? Entries to the Asylum - Tuesday 16th February 2016. 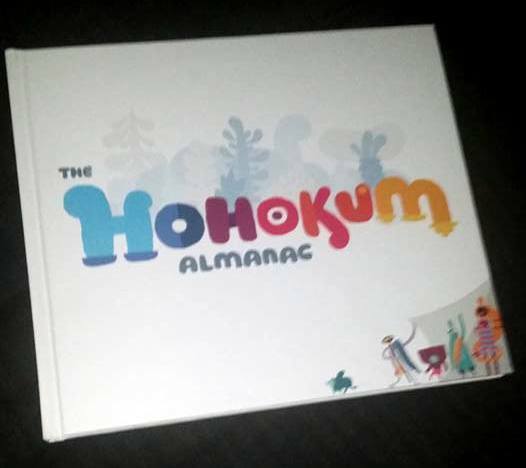 - The Hohokum Almanac [Signed]. Apologies for the quality of the images, they were taken by my phone, with the flashlight on, as the lights in the room were off as Eva is sleeping haha. Any new additions for any of you guys? Be they games, movies or well... babies! 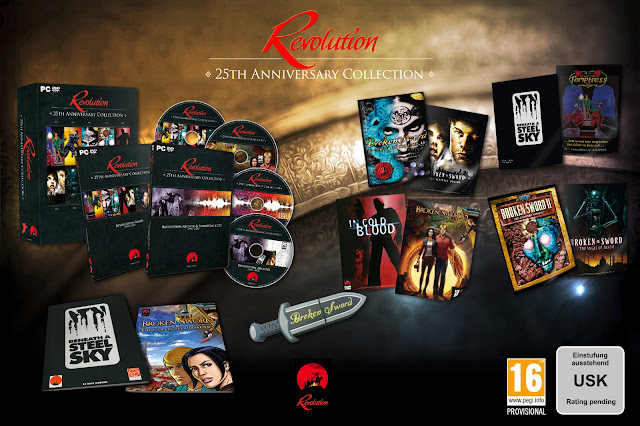 Recently the online store iam8bit has delved into the world of Video Game Collector's Editions. First with their exclusive listing of a Collector's Edition for indie-game Oxenfree, and now with another release, for ADR1FT (they did have a CE of Hotline Miami 2 previously, however it was just the Vinyl Soundtrack with a download code for the game, so I'd say that's more of a Vinyl CE than game CE). 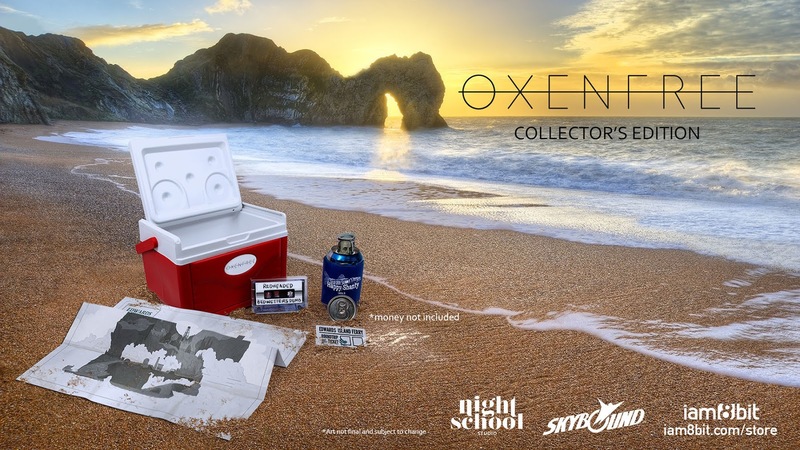 Their debut CE, Oxenfree Collector's Edition is up for preorder at the price of $55.00, due to start shipping later this month. - A foldout TOURIST MAP from Edwards Island, mimicking retro game maps from back in the day. The flipside of the map features a poster image of the OXENFREE key art. 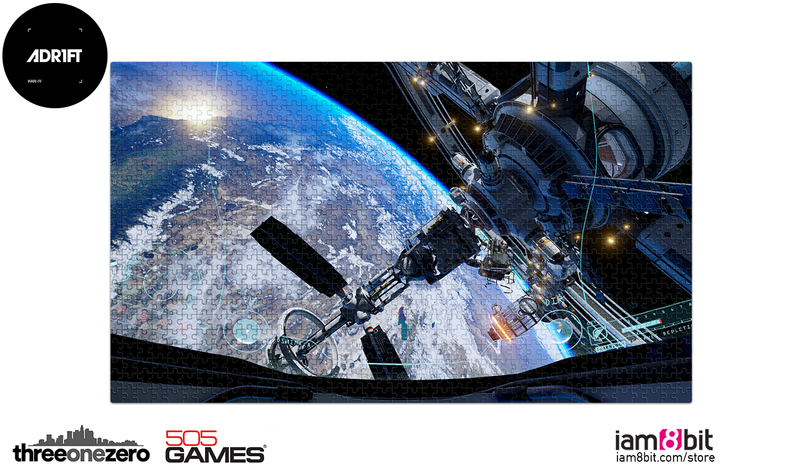 Their second offering, ADR1FT Collector's Edition is also currently up for preorder, at the listed price of $54.95, to begin shipping in late March 2016. 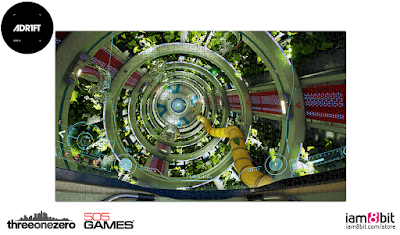 - GAME DOWNLOAD CODE - A Steam code for the PC version of ADR1FT, delivered via email before the game’s official release date on March 28, 2016. 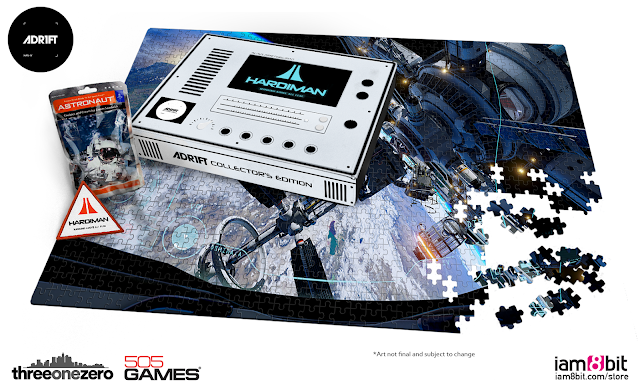 - 756-PIECE JIGSAW PUZZLE (30x16”) - Two different puzzle designs, both created using actual in-game screenshots and housed inside a collectible box, modeled after the onboard containers found within the in-game space station. The finished size of each puzzle is 30x16” - great for framing after completion! One randomly chosen puzzle design will ship with each order. Ordering two (2) guarantees receiving both designs. - ASTRONAUT ICE CREAM - A nostalgic, grade school treat - Neapolitan flavor. - SPACE STATION PATCH - Akin to the suit badges worn by real-life astronauts, this HAN-IV patch is an embroidered memento pulled from the game’s fictional reality. We're very excited for both of these editions, and will definitely be doing an unboxing and review for you all for the Oxenfree CE when it is released. Hopefully we will also be able to unbox and review the ADR1FT one, however we're currently very low on funds - basically non-existant, in all honesty - so will have to wait to order that one at a later date. One slightly annoying thing about the editions is the slight variants available. Oxenfree comes with a can, either Soda or Beer (empty of course), to stash stuff in. Which is annoying, but at least you can choose which you'd prefer. 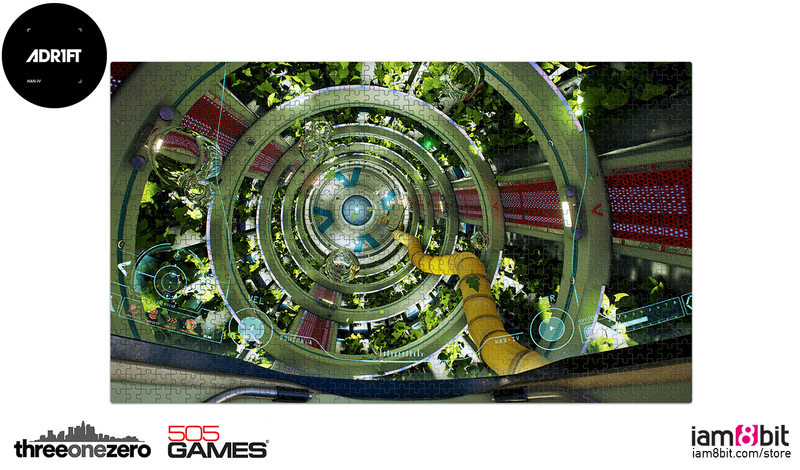 However ADR1FT comes with one of two puzzles, and no choice in which one you get - although they have confirmed if you order two, you will receive one of each variant. So what do you think about these editions? - Gravity Rush Remastered [PS4]. - Digimon Story: Cyber Sleuth [PS4]. - Naruto Shippuden: Ultimate Ninja Storm 4 Collector's Edition [Xbox One]. And we also got a few digital games, too! - The Town of Light [Steam]. - Among the Sleep [Ps4]. Obviously you should have already seen our review on Firewatch, so look forward to (and keep an eye out for) all of the other new arrivals we've received coming soon! What things have you received this week? That's it. Honestly. 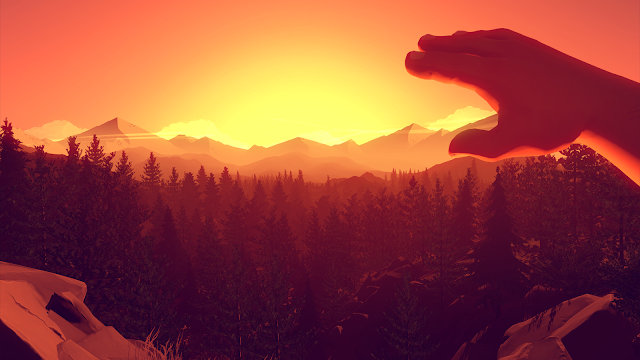 Firewatch was a truly fantastic experience, and I am really happy that we got the chance to play, and review it. This review is based solely on the PS4 copy of the game. We also have a Steam copy however, so I will add any thoughts I have on the Steam version below once I have finished playing through it again on there. I will try to keep this as spoiler-free as possible, however due to the nature of the game, that will make this pretty difficult, so I apologize in advance for the very vague review! 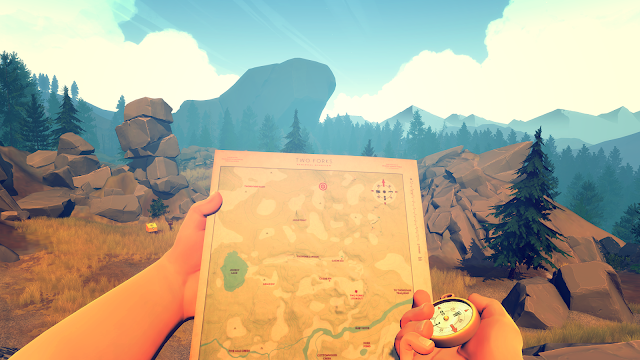 In Firewatch, you play as Henry, a man who has just taken a job as a lookout in Wyoming's Shoshone National Forest. Set in the 80's, you are spending the summer in Two Pines Lookout, alone with nobody to talk to except Delilah, another lookout, who serves as your supervisor, giving you your daily tasks via your walkie-talkie. 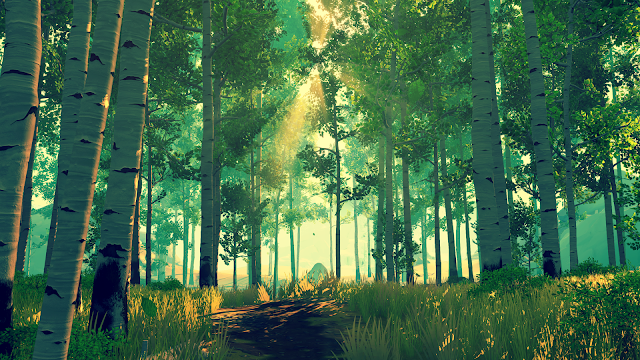 The first thing you notice about Firewatch is how visually stunning it is. The mostly orange-y palette is gorgeous and the entire setting is just breathtaking. I found myself (on more than one occasion!) just looking around at the scenery, in awe of how beautiful it really is. The second thing you will notice is the voice-acting. It has to be one of the best examples of voice acting I've ever really experienced in a video game. Rich Sommer and Cissy Jones, who voice Henry and Delilah respectively do a phenomenal job, as their voices are just so natural and relaxed. It really lends some authenticity to everything you're experiencing. As does the characters' interactions with each other. There is no air of falseness in these characters. They are both (without revealing too much) fairly broken people, with each having their own troubles and insecurities, and it really makes the story all the more believable. Henry has a wife who is currently unwell, and you have come out here for a summer job, whilst Delilah has been working in her lookout for the past thirteen years. Dialogue between the characters is chosen mostly by yourself (well, Henry's side anyway) with little branching options given every time Delilah asks you something. Depending on your dialogue choices, as well as the choices you made in the beginning (which had a fully text-based segment), the story may change in a variety of slight ways. For example, in Allan's playthrough, it was suggested that Henry has a little bit of a problem with alcohol, whereas on my playthrough, this didn't seem to be the case at all. The game is set within the beautiful Shoshone Forest, and there's a few things you may spot when playing through the game, such as animals, various things you can report back to Delilah about and even a couple of little Easter Eggs. In the grand scheme of things, outside of the tasks you are given by Delilah, there isn't a whole lot of exploring to be done that you wouldn't really do naturally when playing the game, at least in my experience. You play the game with no mini-map in the corner of the screen, like so many of us are used to now. You are given a map, and a compass, which you can bring up on screen by pressing down . That's it. You have to figure it out yourself. Sometimes this is fairly easy, for instance if you are following a straight path west to get to a location, such as a Supply Cache. Then that's nice and simple. But when you're given an instruction of "Go to [this area]" and you just have to figure out the route yourself by using your trusty map and compass, that's where things can sometimes get a little confusing. For example, towards the end of the game, I was told to make my way to "X" part of the map (I won't say where I was told to go to avoid risk of spoilers), and on my way there I took a wrong turn I think three separate times, even though I was using my map and compass religiously. All it took was for me to be looking in a direction that was obviously on the cusp of changing from North to East, and I abseiled down a steep drop, and then ran for a bit before looking at my map to see that I was not going North like I'd expected, so had to backtrack. Cue this happening twice more in the same segment of the game, and you have me getting all flustered like I'm genuinely lost in the woods. With a total playtime for me coming in around the 4 hour mark, Firewatch definitely isn't a long game, and I'd say that's the only thing that slightly bothered me about it. However, being longer just might not have worked quite so well, so maybe 4 hours was the perfect length after all. The story really had me engaged throughout, and other than a couple of framerate issues when climbing rocks or reaching a point where the auto-save kicked in, the graphics were spot on, and I absolutely loved the art style (well done Olly Moss!). And one last thing I will mention is that early on in the game, you will find a camera. It only has around 15 shots left (if I remember correctly) for you to use as you see fit. Use them all by the end of the game, as during the ending credits, the photos you have taken will run alongside the credits, and it really makes the game seem even more real, and really hits you right in the feels. 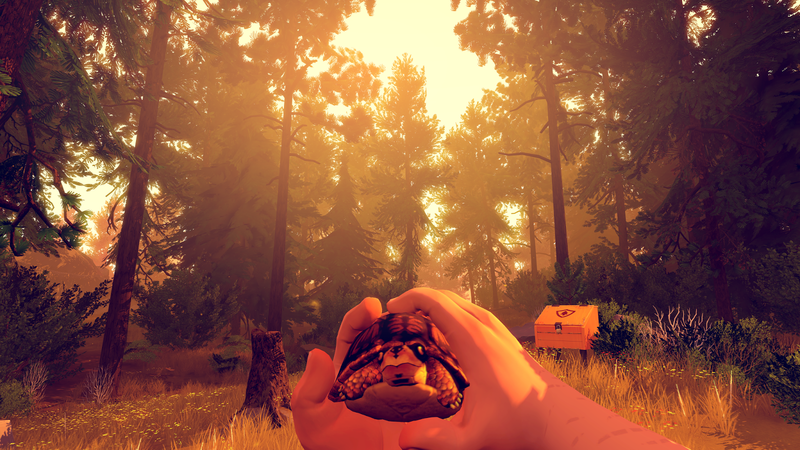 I'd gladly give Firewatch a 9/10, and would thoroughly recommend that you all play it ASAP, as it truly is one of the most enjoyable gaming experiences I've had in a long time. Big thanks to Campo Santo for creating such a truly wonderful game. 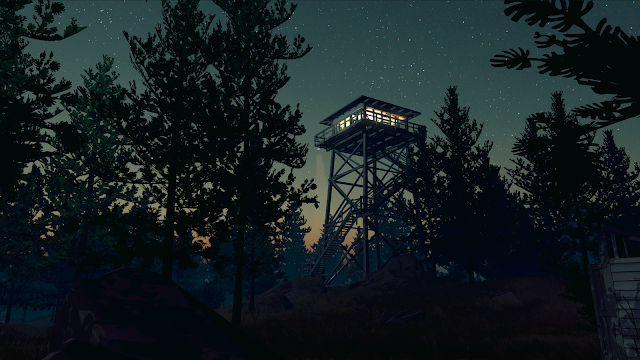 Priced at £14.99 normally, Firewatch is available on the Playstation Store and Steam for 10% off at the moment (ending today for Steam, and on the 16th for PSN) so jump on it while you can. 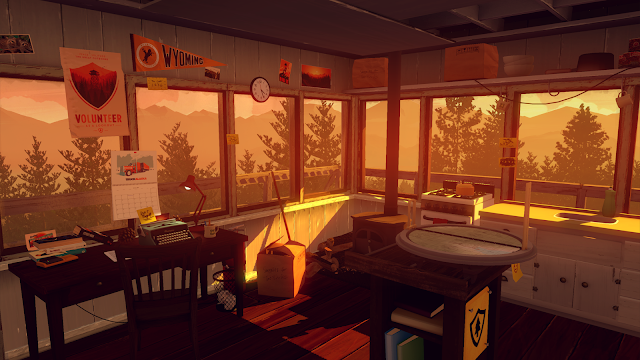 Have you played Firewatch? What did you think about it? 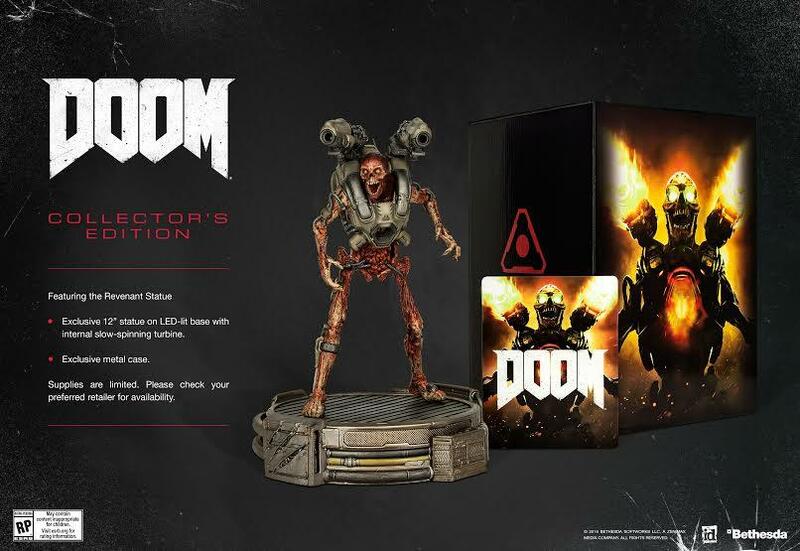 Doom Release Date and Collector's Edition Revealed! Today Bethesda revealed that Doom, releasing on May 13th 2016, will be receiving the Collector's Edition treatment. - Exclusive 12" statue on an LED lit base, with an internal slow-spinning turbine. The statue, as shown below, is produced by Triforce, and I really can't wait to see it in person! Retailing at £99.99 in the UK, but retailer has yet to be confirmed, so keep an eye out for it being listed. I expect it will likely be GAME or Amazon, so best bet is to look out there. What do you think about this edition? Are you excited for Doom? Inside is the Shagohod 1:44 replica, packaged to look like an old Russian toy. Package shows Cyrillic writing at the top, which would have been accurate for the era. Down a layer and there is an art book. Down another layer and you can see the game along with another book. And underneath the game is a small brown case. Artwork from the game cover is different to the standard box art in Japan, instead using the US box art. Here is the small brown package, and we can see now that it is a little disc case. Inside the case, we can see that the disc is a Premium DVD, containing various trailers and footage. Sticker warns of spoilers contained within the book. 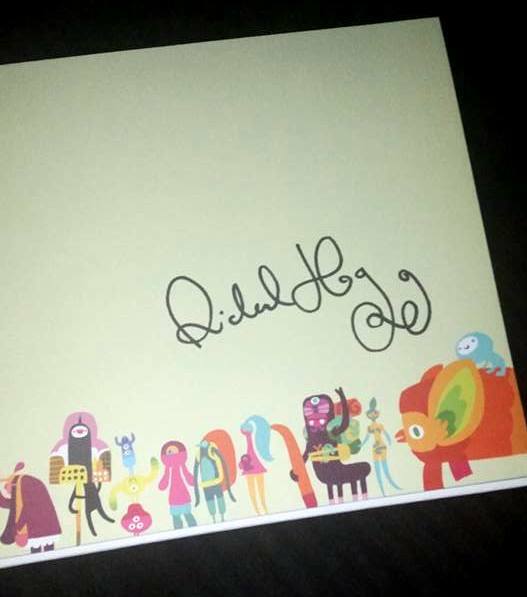 This book is known as the R book, so has a full page of words beginning with R.
Another spoiler warning sticker, as naturally the art book will show some stuff from all throughout the game. Weirdly there's a little section about Snake vs Godzilla, what I'm guessing was the inspiration behind the first save game conversation in the game. Pretty cool piece of Godzilla art. And like the other book, this is the L book, so a page is just filled with words beginning with L.
Really nice looking piece. Fairly small, but has a decent weight to it. Has quite a good amount of detail in it. At the back of the art book, there is a page with info on the Shagohod model. Do you have this edition? What are your thoughts on it?